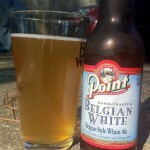 Stevens Point Brewery’s Belgian White pours up very nicely. The head fade quickly. The amora is a sweet floral mixed with little bit of the spices, which are coriander and orange peel. The aroma is very enjoyable. 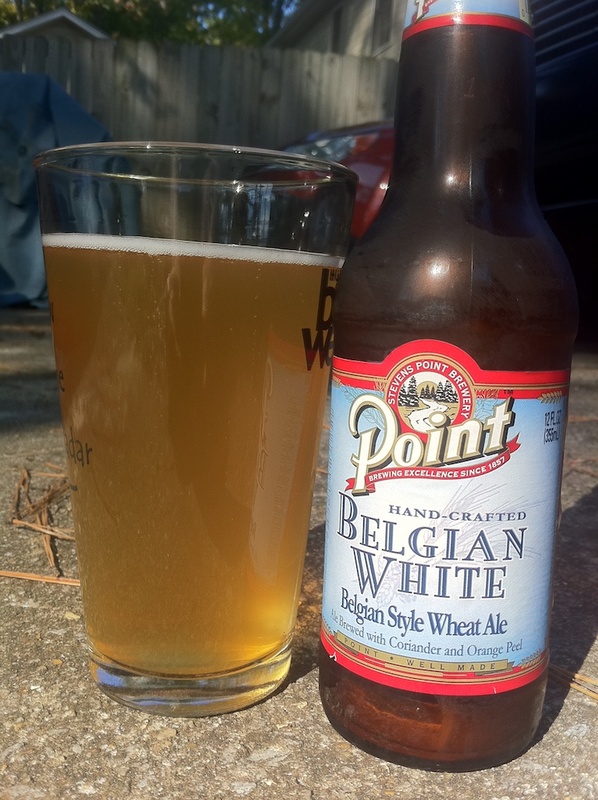 The appearance is a hazy wheat color. The appearance is enhanced with the steady stream of bubbles rising up. The taste is dominated by the flavors from the yeast mixed with the spices. There a medium body to it. Overall, this is a very enjoyable beer. It would go very well with light fish like trout or Chilean Sea Bass. The 5.38% ABV make this a very good choice for a session beer to be drank while smoking your trout. Mmmm.